Dreams really do come True!!! As a prenatal yoga teacher, childbirth educator and labor doula, there has been overwhelming interest in having a Birth Center in the South for many years. It became clear to me that women wanted this safe alternative to hospital birthing. So, together with the effort of many, Holistic South is the first and only Birth Center in South Florida that is located across from a Hospital, providing waterbirths, midwifery care, childbirth education, complete prenatal & postnatal care. 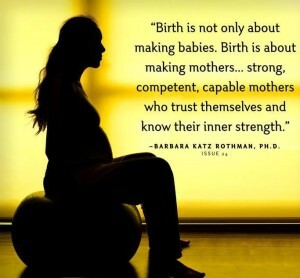 Allowing mothers the movement and freedom to birth as mother nature intended. Healthy, Safe Place to Birth your Child! Midwives are seeing clients so call for your free meet and greet to see our beautiful space and discuss your birth options. Please contact our office manager at 305-238-7873.